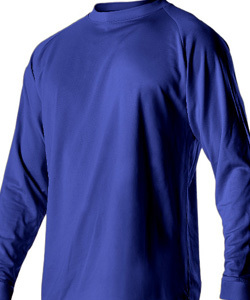 DESCRIPTION: Adult Multi-Sport Jersey. Designated colors are royal blue. Patch Center Top. 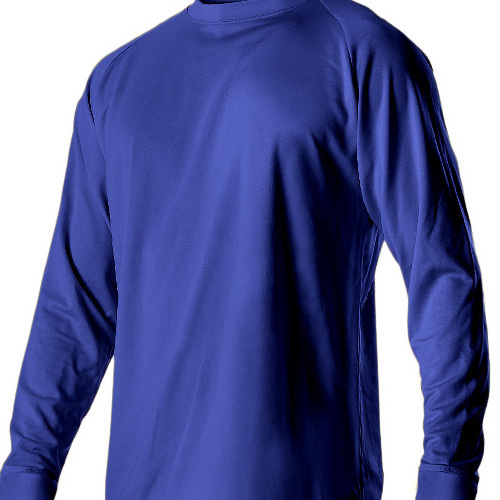 KEY FEATURES: 100% eXtreme microfiber Cationic colorfast polyester with moisture management fibers. Full length raglan sleeve t-shirt design. Self-material crew neck. Straight hemmed bottom and sleeve end cuffs.